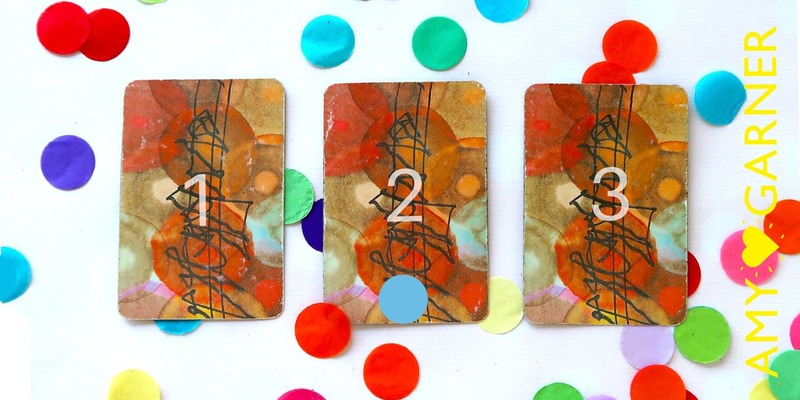 Does a free online tarot reading actually work? A free online tarot reading can be a great quick fix that gives you clarity, on the go. If you are looking for a free online tarot reading, the choices available are mixed. You want your free online tarot to be accurate. Searching through thousands of sites is time-consuming when you need a prediction or reassurance fast. Below is a list of 5 of the best online tarot readings I’ve found, where a free tarot reading online gives you clarity + confirmation. Choose from celtic cross, yes or no, a three card spread or one card tarot reading. When does an online tarot reading work? Spirit speaks in mysterious ways and computer-generated insights via a free online tarot reading can definitely be accurate. A free online tarot card reading – or a tarot card App in a smartphone – can clarify your problem. You don’t need to pay for a full reading with a person or even take the time to sit down with your own physical tarot card set. • when you don’t have time to sit down for a full tarot reading. The wonders of modern technology means your web browser or smartphone can give you the answers you seek. Is a free online tarot reading as good as a ‘human’ reading? When you ask for spiritual guidance from the universe, the answers will show up via signs, symbols, coincidences and random bits of information. Guidance comes in unexpected and subtle ways: you have to watch and listen. When you ask for guidance in a tarot reading, the spiritual information appears more clearly in picture form. Similarly, with a free online tarot reading, you set an intent just like when you do a normal tarot reading. The same energy (intention) that would go into shuffling physical cards is directed towards the computer-generated ‘shuffle’. Therefore, you can get an equally satisfying outcome. The ‘correct’ card(s) are selected from a free online tarot reading that give you the answers you are seeking. In conclusion, spirit works through a technological online tarot card reading, just as well as through the physical tarot card reading. Some experiencial magic and reverence is lost when you have an online tarot reading. However, online tarot has the benefits of speed + accessibility! The information you get is the same. It’s just in a more condensed form. The message is what is important – not the messenger! Colette Baron-Reid is a ‘spiritual intuitive’ (she hates the term ‘psychic’ because of its negative connotations). Her free online tarot Daily Oracle gives an accurate overview of the underlying energies of your day ahead or your day just gone. 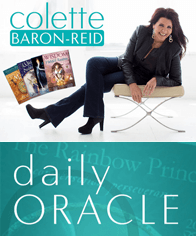 Get Colette Baron-Reid’s Daily Oracle Card Reading here. If you like her free online tarot readings, you can sign up for her simple online course which teaches beginners how to get the best from the oracle cards. She has recently launched (2016) a beautiful Wisdom of the Oracle mobile app – this is the best! 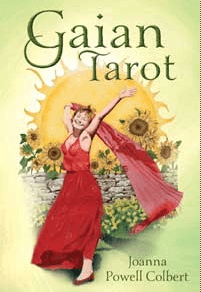 Joanna Powell Colbert’s Gaian Tarot cards are for all healers, herbalists and lovers of mother earth. She created each card herself and each image took her about 80-100 hours to finish. You can find details about her the creative process on her Giain Soul blog. Get a free Gaian Tarot Reading here. These are very artistic and nature-oriented free online tarot readings which encourage you to connect with your inner process. 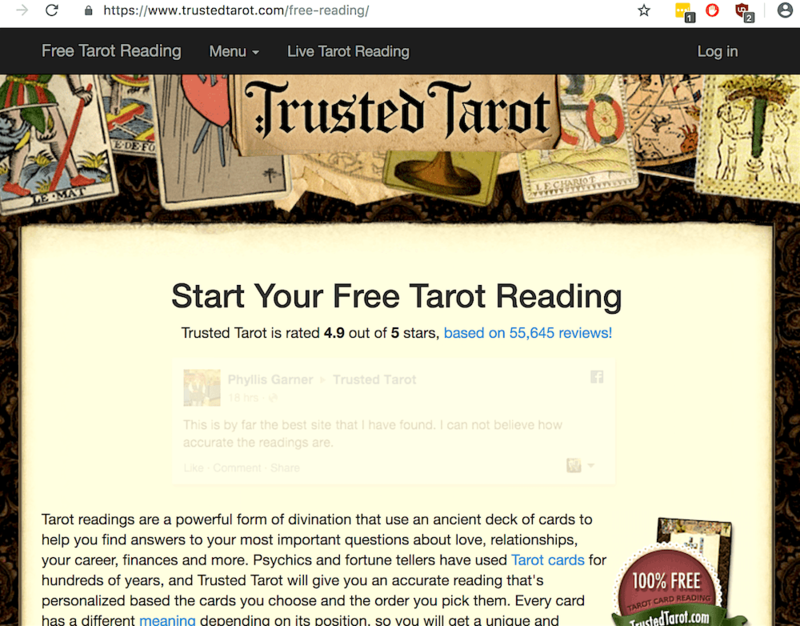 Trusted Tarot is another really great and totally free online tarot reading website (March 2019). It uses the Rider Waite Tarot deck to create a Celtic Cross that gives you loads of detail. You have to sign up with your email and date of birth, but in return you receive a detailed report, including astrological considerations. You’re even given an audio explanation of your tarot reading too, if you want it. Try a free online tarot reading by TrustedTarot here. They also have an App for iOS and Android. The Tarot Goddess website is a little tacky-looking due to the adverts, but offers lots of free online tarot readings in different formats. 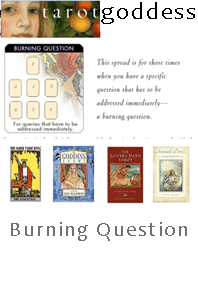 My favourite is the ‘Burning Question’ spread. The ‘Yes or No’ reading rarely works for me (– perhaps because it’s too simplistic and life rarely is?). Get a free Tarot Goddess Reading here. There’s a wealth of free online tarot readings on this site, to suit most needs. You can recommend other free online tarot readings? …Lastly, here’s my own free online Tarot Reading – every Sunday! Get accurate information about your life, your loves + your future potential! Choose your tarot card for the week on my Facebook page at 8.00pm UK every Sunday. The tarot card meanings are revealed at 8.00am UK each Monday morning. I photograph Osho Zen tarot spreads + write individual meanings for every card, plus a weekly theme. I spent many years spent as an intuitive healer in central London and love to share the beauty of tarot. Use it to understand your intuition, trust your vibes + feel into your flow!